Of romance, love and marriage. 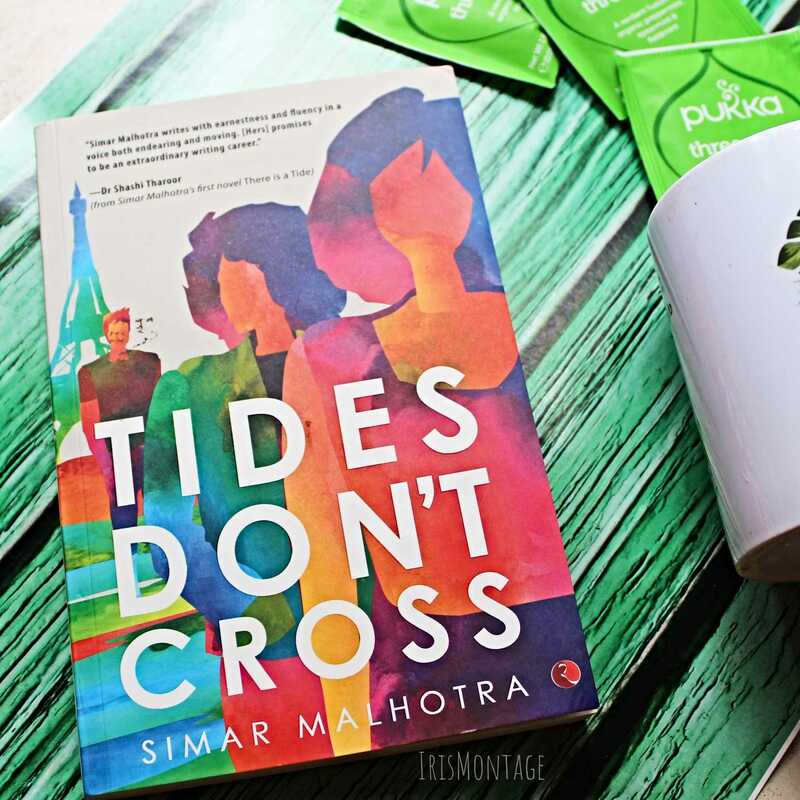 Tides Don't Cross, by Simar Malhotra, is a love story set in the present day spanning across Delhi, Paris, USA. 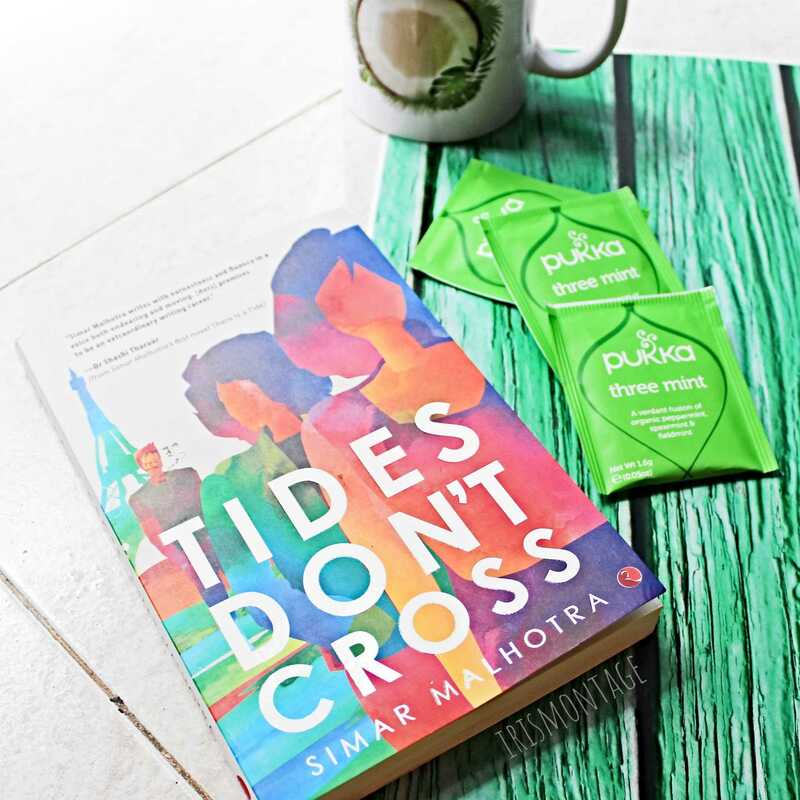 Love is a complex emotion, and Simar sets out to explore just this in Tides Don't Cross. A romance novel at its core with some heart wrenching moments, Simar makes you question- What is pure love? Mrinalini aka Meera is the eldest daughter of Neelam Siritya, a single mother, was brought up in a very suppressed manner. Having lost her father at a tender age of 15, she had no choice but to be follow her mother's instructions to the tee to maintain any semblance of peace at home. This peace was often disrupted by Rukmini aka Rhea,the younger headstrong daughter, who insisted on being the rebel. 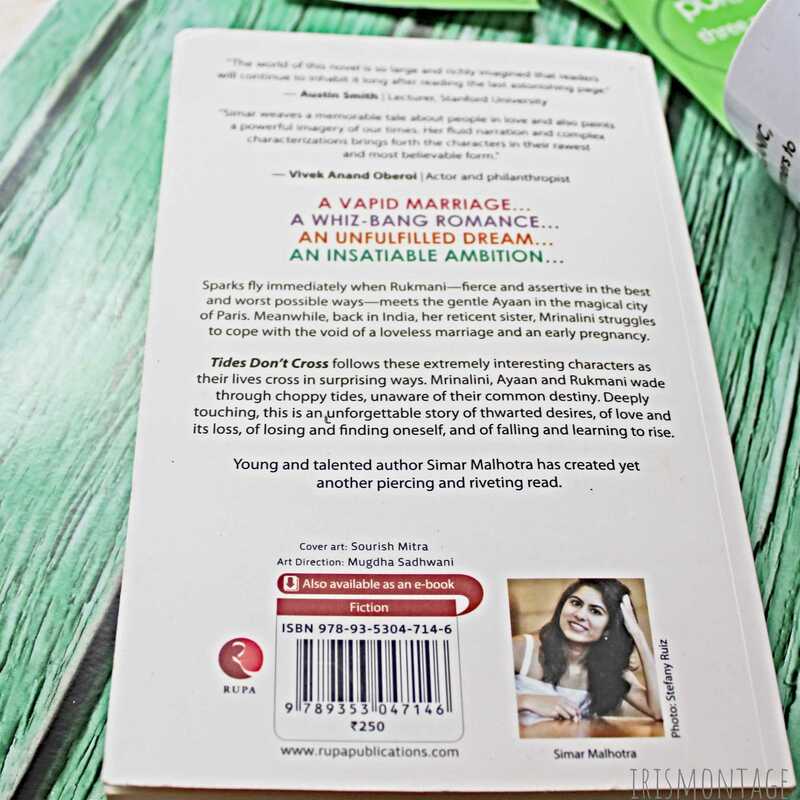 Soft spoken Meera is coerced into marrying Surya Srivastava,a rich entrepreneur, because Neelam felt that love marriages were always done on a whim and did not wish that for her children. Good looking, well earning and he came from a respectable family, what more Meera want in a husband, right? Surya was a dutiful husband and showered Meera with gifts and luxury, but yet Meera always felt like her love towards him was more duty bound than anything else. 4 months into her married life, Meera finds her self pregnant and life changes beyond her control after that. Rhea, who studies at NYU, decides to take a semester in Paris and that's where she bumps in Ayaan. Ayaan Khan, was in Paris to get over a shoulder injury that had forced him to quit swimming. His dream of representing India in the Olympics came crashing down and he felt he needed some time away to reassess what to do with his life. A chance meeting with the vivacious Rhea changes his life forever. Slowly but surely the level-headed Ayaan finds himself falling deeply in love with Rhea, but as fate would have it, a misunderstanding forces them apart. Then suddenly life throws an unexpected twist that affects Meera, Ayaan and Rhea in a way that they would never imagine. Do Rhea and Ayaan meet again? What happens to the relationship between Meera and Surya? 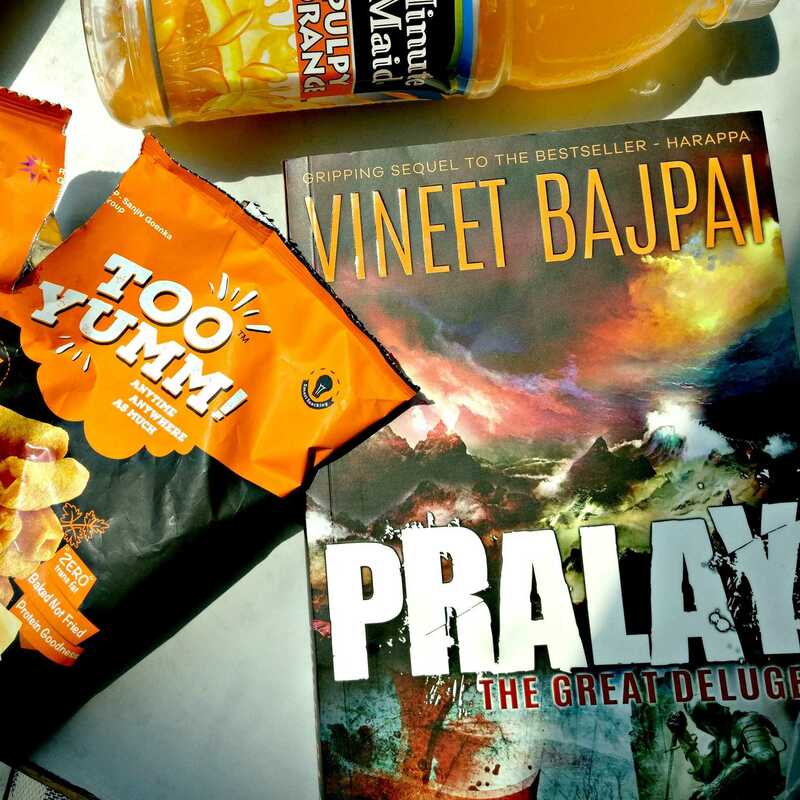 Does Meera ever find true love? What happens to Neelam and her stringent thoughts on marriage and love? Read the book to find out the rest. Tides Don't Cross is definitely a very relatable story and will make you ponder about the true meaning of love. What's your take on the idea of true love? Drop your comments in the box below. Also so stay subscribed to IrisMontage via email for more book reviews and some upcoming travel posts. 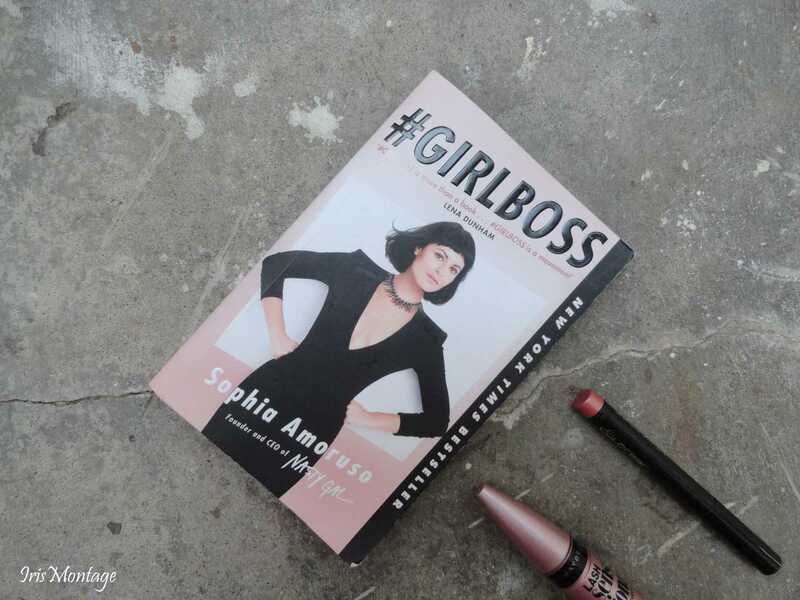 *Disclaimer- Book sent by the publisher for my honest review. This is not a sponsored review.